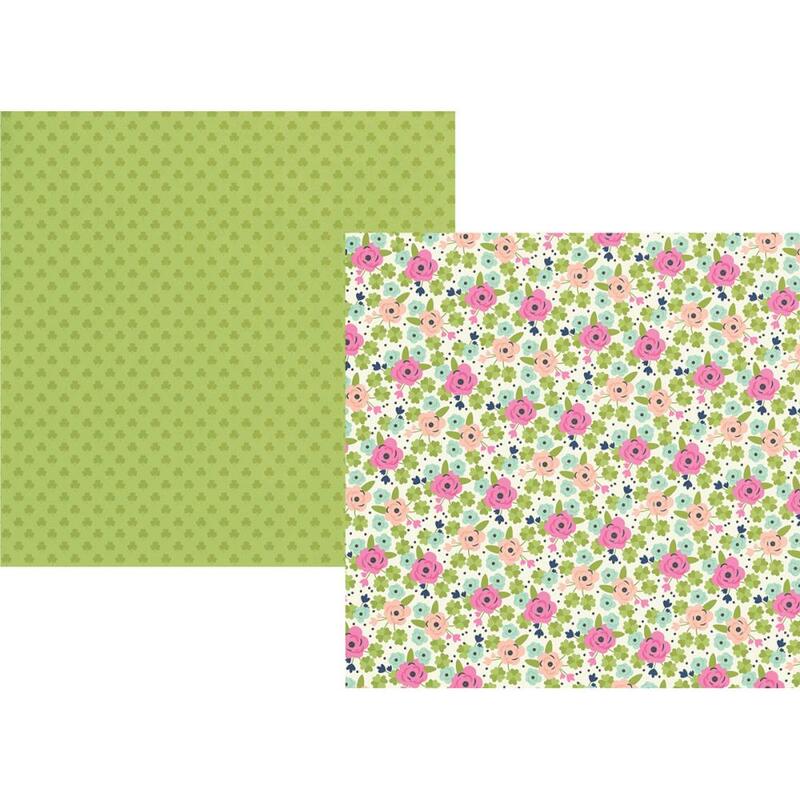 This 12x12 double sided paper has Florals with Clover Leaves on the frontside while the reverse side has a green tone-on-tone with Clovers throughout. Part of the St. Patrick's Collection by Simple Stories. This is a Mini Collection with Element Stickers and three (3) Designer Papers.